Floor sanding and polishing is a technique that will revive the beauty and natural look of your old timber floor and will enhance its durability. If the surface of your wooden floor is damaged or neglected and needs repairing you will need professional workers to do this for you. We know how to revive the beauty of any type of old timber floor which will breathe new life into your home in Melbourne. We use only the latest technologies and high quality products to give your home an aesthetic look creating a more pleasant place to live in. Unlike any other types of flooring, timber has the ability to be renovated. Sanding will make all stains, marks and scratches disappear by stripping the old finish from a floor and creating a new smooth surface in hours. 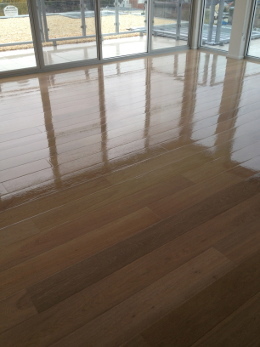 Polishing will bring back the shine and old glory of your timber floors. Clearing away all furniture and items such as curtains, blinds, pictures, rugs, and any other belongings from the areas where the works will be carried out. The rooms have to be entirely empty. Furniture that cannot be moved should be well protected from the wood dust (it could be covered or carefully wrapped). Also, everything that hangs on the walls has to be removed. Cupboards and drawers have to be emptied. All this will make the job easier and faster to complete and will protect your possessions from any the dust. Sealing outlets and switches is also one of the things that has to be done. Floor preparation is a procedure of getting the timber floor ready for the sanding. All raised nails have to be removed or nailed down because they could harm the sanding machine. The floor has to be cleaned of any sticky material which might clog the sandpaper. Where necessary gaps between the boards are filled with special substance. Sanding can begin once the floor has been prepared. The first stage involves removing the old coatings and making the floor flat. The floor needs 3 or 4 cuts with different abrasives, so any visible damages or discoloration will vanish. Also, the edges in the room are finished off with round edging sander. Finally, floor is sealed and should dry for some time. 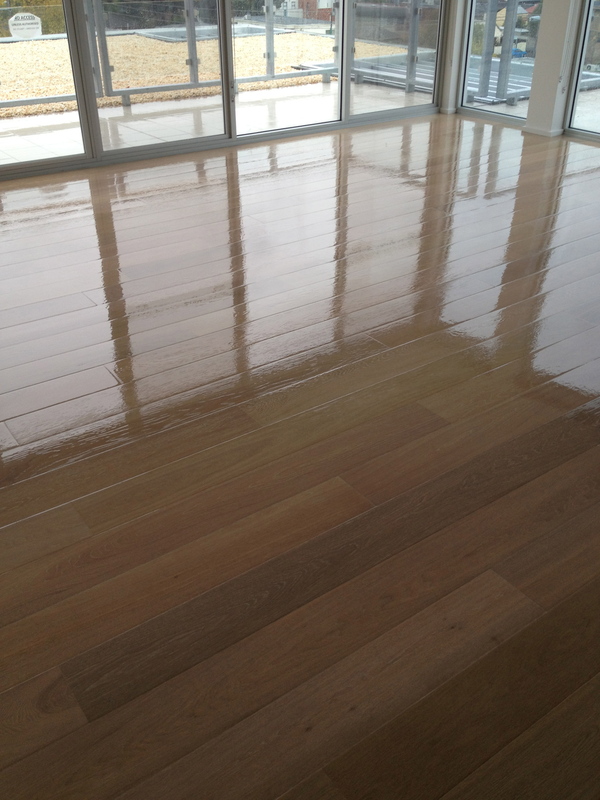 Polishing is a process that gives a perfect shiny look of your timber floor and ensures its durability. Due to the strong smell of floor finishes it is not recommended to stay in the same room without a mask. The windows have to be opened for better ventilation. At B&G flooring we work only with the latest equipment to ensure that your home will be dust-free. We always do our best to achieve results that will meet your expectations. 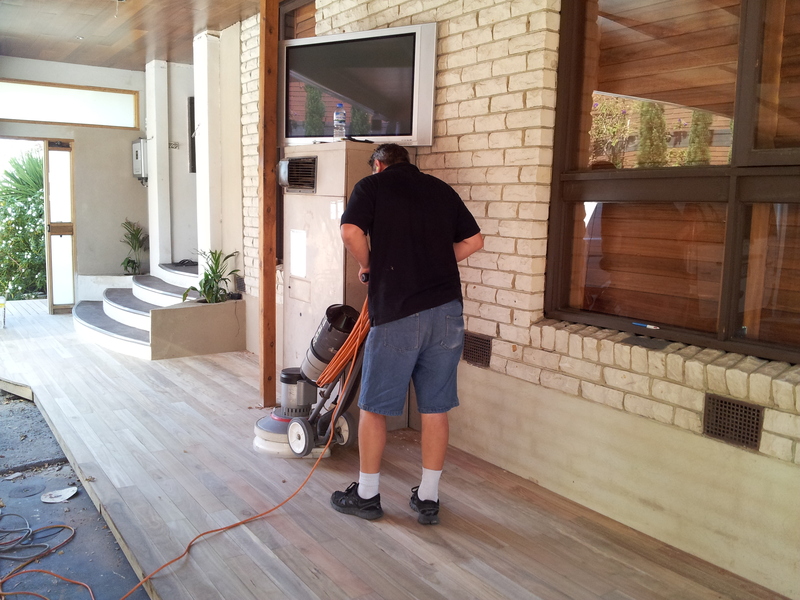 If you would like to talk with us and learn more about our sanding and polishing services, do not hesitate to request an obligation-free visit to your premises in any area of Melbourne.